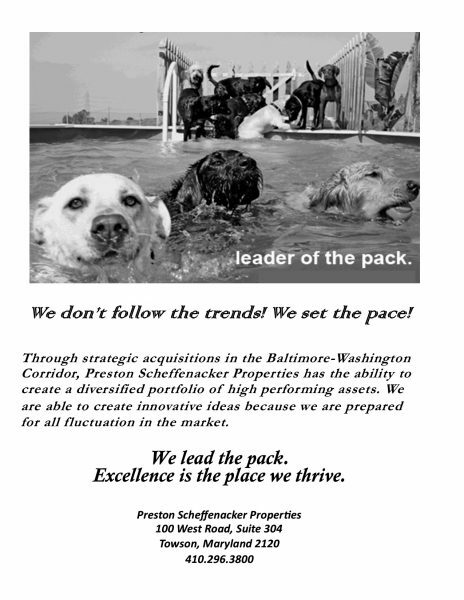 For the last seven years, we have focused on acquiring land or commercial redevelopments in the Baltimore – Washington Corridor including Industrial, Office, Residential and Self – Storage facilities. Because the market is constrained by size, developers often find sub-sets that provide the opportunity for rezoning or re-positioning much more feasible. An excellent example of this type of rezoning is our Oxford Square project. Oxford Square was successfully rezoned from industrial to what is called a Transit – Oriented residential development a ( Live, Work & Play Community) in Howard County, Maryland. Today, development in Maryland continues to be limited by land supply in other ways which are less obvious. An example is the “The Storm Water Management” requirement designed to protect the Chesapeake Bay. By restricting new development, the assumption is that the impact on the Bay will preserve Maryland’s natural resources. One way we have found to reduce the impact of these regulations is to renovate or tear down existing or older structures that are grandfathered under the old “Storm Water Management” regulations. Qualifying the exact impact of these regulations is tricky. Each county in Maryland has interpreted the regulations differently, which creates inconsistencies among the multiple jurisdictions. Preston Scheffenacker Properties has been at the forefront of these regulations and the engineering involved in each project. Therefore, we have a true advantage over our competitors.